Burgundy is the biggest mine-field in the world of wine. There are fabulous wines to be had here, but for a variety of reasons, it's one of the most difficult wines to understand. First, the producers tend to be tiny. While a Bordeaux property might make thousands of cases of a single wine each vintage, in Burgundy a producer might make but a couple of thousand cases. Of this production, they may make six or twelve different wines, meaning that each batch of wine is very small, sometimes amounting to but one or two barrels of a particular wine. Add to the mix that the wines are made of Pinot Noir. This is perhaps the greatest red grape, but because it's not as easy to understand as Cabernet, Merlot, Zinfandel or Syrah, you have a variety of opinions as to the quality of a particular wine. There are a number of critics who, for one reason or another, cannot assess Burgundy. When you're tasting Pinot Noir and expecting it to have the color of Syrah, the body of Zinfandel and the tannins of Cabernet, it's not surprising your tasting assessments and ours are not in agreement. Many producers are wary of many of these critics. Robert Parker had to send an associate to write about Burgundy as Monsieur Parker was sometimes not a welcomed taster. 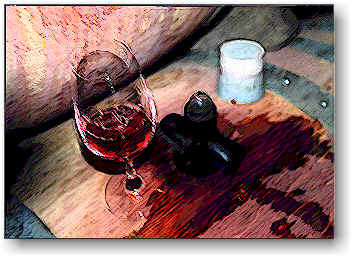 The Wine Spectator is also not welcome on the grounds of a number of top domaines. This is due, in part, to the winemakers' feeling their wines are not fairly judged. We can understand the stinging criticism from wine writers can be difficult to accept. How would you like it were your work held up to a worldwide audience and someone who has not traveled in your shoes writes something to the effect that your work for that year should never have seen the light of day? I am thinking specifically of one producer's wines. Had someone on the Left Coast made the same exact wine, these critics would herald them with great enthusiasm and pronounce the winemaker a "genius". Sometimes the standards are different. There's a publication called Burghound written by a fellow who's passionate about Burgundy. You'll find a paragraph, or two, featuring information a particular vintner has whispered in the author's ear...that may be of some value. As for numerical scores: they mirror the nobility and hierarchy of the various bottlings and crus. The descriptions of the wines are interesting, but I gather the wines are not tasted 'blind' and so the ratings conform to the pecking order (and price) of the wine. A wonderful facet of Burgundy is the variation in vintages. Some years produce wines with very high levels of tannin. The critics tend to view these are "great" vintages. Lighter wines or those which are drinkable in their youth tend to be maligned. If dinner is tonight, what's wrong with putting a young and ready-to-drink bottle on the table? Paramount is "it's who made the wine that's important." Good winemakers make good wines. The rubes get lucky in a good vintage and are lost the rest of the time. Good winemakers are sensitive to the vintage and adjust their winemaking accordingly. 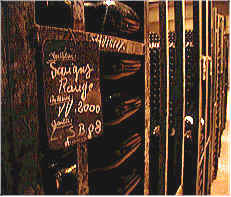 Taste wines from vintages such as 1991 and 1992. This is where you can separate good winemakers from poor. We had a wonderful "mixed appellation" tasting of 1992s---one wine was poor, but seven were delicious, including a wine from the producer whom the Wine Spectator said shouldn't have bottled anything (that vintage). It won the tasting, by the way. Some estates use lots of new oak. We've visited some cellars where the American importer supplies the barrels! Some importers dictate other winemaking practices such as "no filtration". The "field" is varied and there is an incredible array of red Burgundy to be had. Some are great. Some are schlock. Almost all are expensive! We don't have a large or deep collection of Burgundy. We select wines we like. If the critics don't give them their highest scores, I DON'T CARE! The wines are good quality and represent good value. And a number of Burgundy lovers will tell you to turn upside-down the ratings from Robert Parker and The Wine Spectator. Many times these people are looking for the same characteristics in Burgundy as one looks for in Cabernets. From what I've read about Joseph Roty, he was quite a curmudgeon and quite a perfectionist. Sounds like our kind of vintner! He'd been described as an "enfant terrible" by some journalists. I noticed that despite the fame and wide recognition for his wines, you won't find an entry for the estate in the annual wine guide from Revue de Vin de France. Nor will you find the wines tasted by the Guide Hachette crew. The Roty family doesn't submit wine to these people. The domaine is now run by his son, Phillipe. Sister Patrice takes care of the office chores. 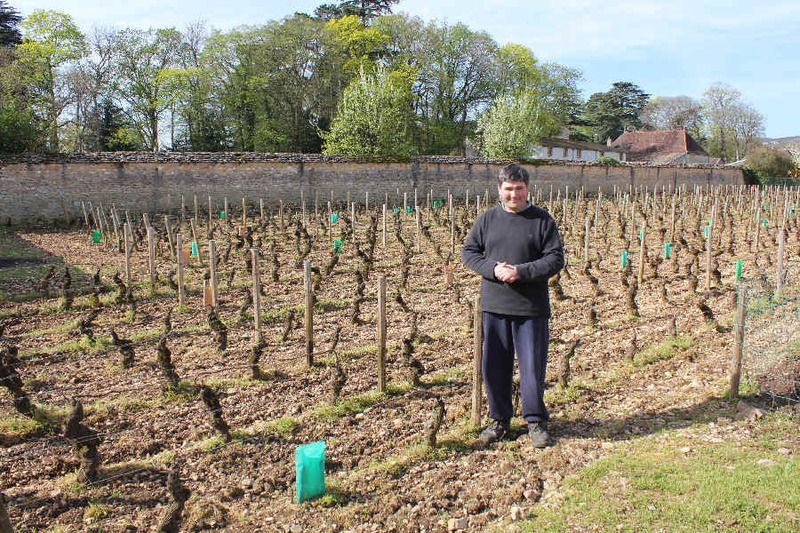 Brother Pierre Jean works in the vineyards. Mom, Francoise, was in the cellar when I visited, topping barrels. The "kids" represent the 11th generation! The domaine began bottling its own wines in the 1950s. They currently own 12.5 hectares of vineyards, while Philippe owns another 2 hectares, as well as buying fruit from a 'rented' vineyard. 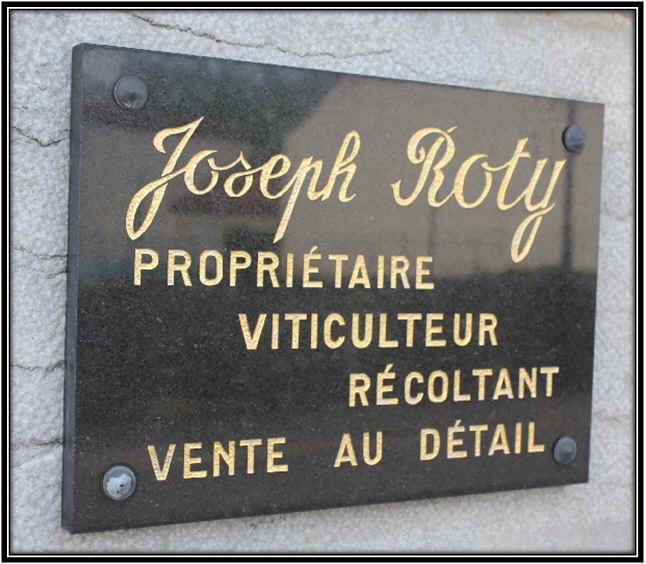 Some of the wines have the Joseph Roty name on them and there are some bearing Philippe's name. Mom, Francoise...Pierre-Jean and Philippe in 2011. 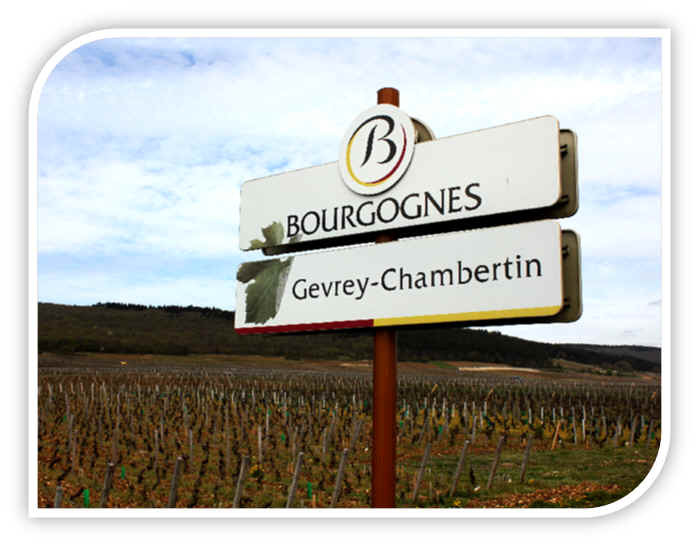 They have very old vines, with most of their vineyards in Gevrey-Chambertin and Marsannay. Farming is said to be biologique and they tend to have very old vines. The Marsannay from Les Ouzeloy comes from vines over 90 years old. The small production of fruit per vine accounts for the rather amazing character and quality of this wine. We have a few of Roty's wines in stock presently. Savigny-Les-Beaune is a small wine village north of the "metropolis" of Beaune. The vineyards in this appellation cover some 380+ hectares, a sizeable quantity. 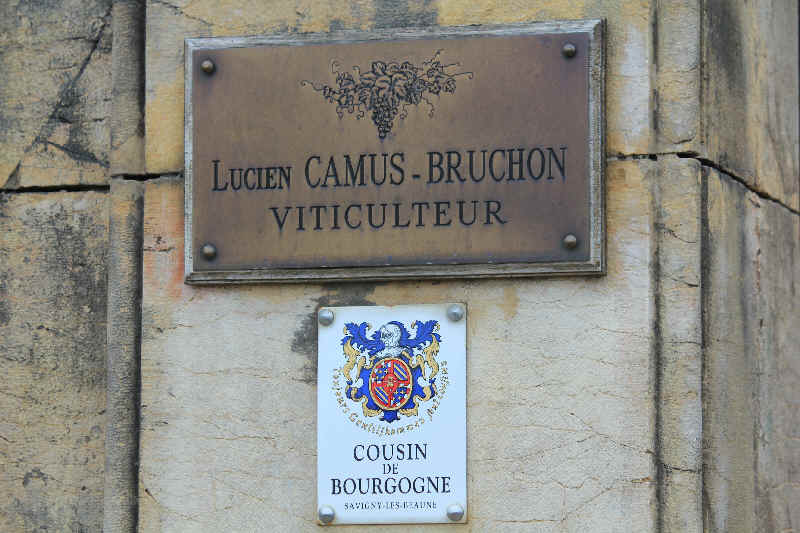 As a result, value conscious Burgundy drinkers know this town as a potentially good source of wine. 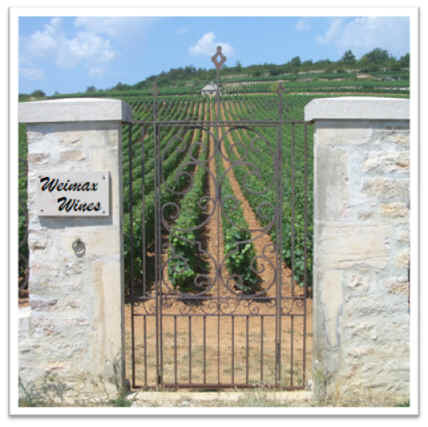 Like most vintners in this area, Lucien's holdings are scattered amongst several different crus. 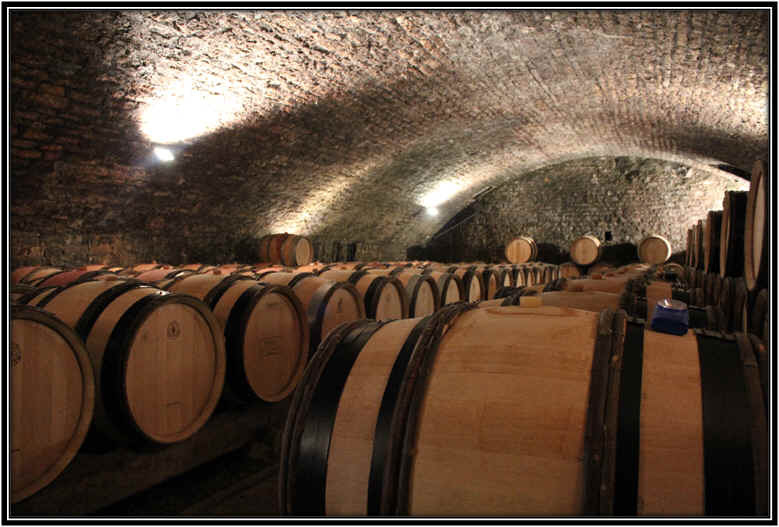 You'll encounter Les Lavi�res, Les Narbantons, Les Gravains along with an old vines' bottling of Savigny. 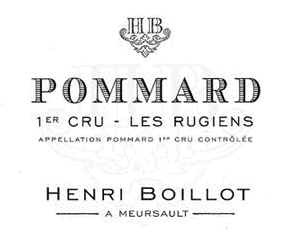 They also make a small amount of Pommard from the Premier Cru site of Les Arvelets (a recently purchased vineyard), as well as a Beaune Premier cru, Clos-du-Roi. The "Vieilles Vignes" bottling of Savigny-Les-Beaune comes from 89 year old+ vines in Savigny. The Aux Grands Liards (a "liard" is a black poplar) comes from vineyards planted in 1913 and 1922. Old vines are a way of life at this domaine, although his white wine is from a vineyard planted in the early 1990s. 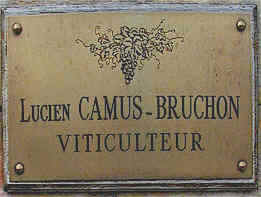 The red wines of Camus-Bruchon are quite good in their youth. However, they also generally have good structure for cellaring. We tasted a rather youthful 1993 Vieilles Vignes bottling, while the 1982 vintage was amazingly fine! This demonstrated the dedication of the winemaker, as 1982 is not especially highly regarded. Yet a 20 year old bottle is magnificent and memorable. You're quite in luck should you own a bottle of 1976 Savigny-Les-Beaune "Les Lavi�res." This wine displayed some gamey Pinot Noir aromas with earthy, truffley aromas and some pencil lead fragrances. The 2015 Savigny from the Le Pimentiers site, comes from Pinot Noir vines of 80-something years of age. It's a classic example of Burgundy and the wine is medium-garnet in color and teeming with cherryish fruit and a faint floral note, reminiscent of violets. There's a hint of wood...just a hint, though, as the fruit really shines here. We find this to be delicious now and suspect it will cellar well for 5-10 more years, maybe even longer. The wines from this property are well worth purchasing, on the basis of high quality and outstanding value. A small domaine of less than 9 hectares, Michel Morey is the son of Marc Morey, another famous Chassagne producer. 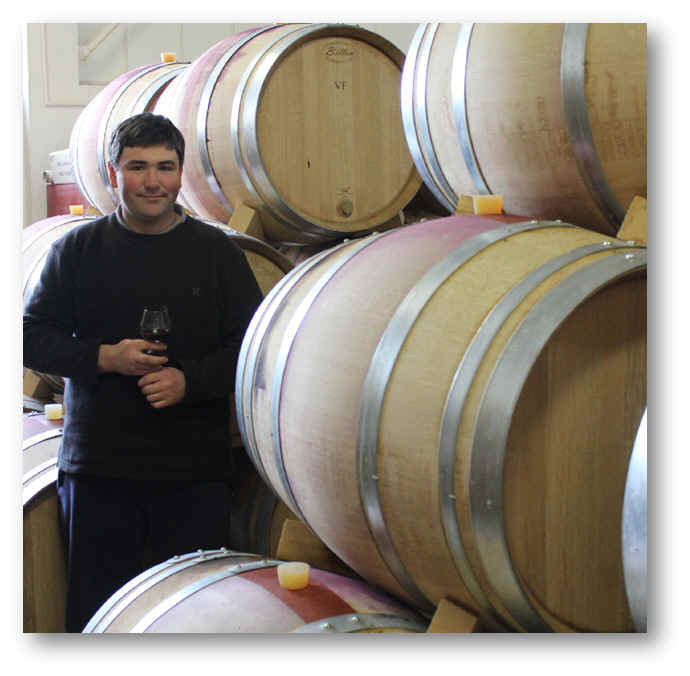 Michel's son Thibault is now running the domaine. We've been pleased with the white wines from this estate and a number of the reds have been remarkably good. We have a good, youthful, showy Chassagne rouge. It's a wine that punches well above its weight class, if you get my drift. If you're a fan of good Pinots and are hunting for something sensibly-priced, you may find this to be as fine a bargain as we do. Recently shipped to the Bay Area is a Bourgogne Rouge which puts to shame many "village" level Burgundies. I'd venture to guess most tasters would probably identify this wine, if tasted blind, as some sort of pretty good Burgundy such as a Volnay, Chassagne rouge or even something from farther north. In fact, it's more stylish and charming than just about any "Bourgogne Rouge" we ever tasted. The price is also remarkable, especially considering how well this does on the dinner table. It's a medium-bodied, cherryish Pinot with a nice touch of oak. Drinkable now (and how! ), this is best served at cool cellar temp. This estate was Domaine Jean Gros, once upon a time...I recall visiting ages ago and we met the widow of Jean Gros...she was the mayor of Vosne-Romanee! The property was passed down to Michel Gros, who began working in the business in 1979. In 1995, or so, the name of the domaine was changed and today it's Domaine Michel Gros. 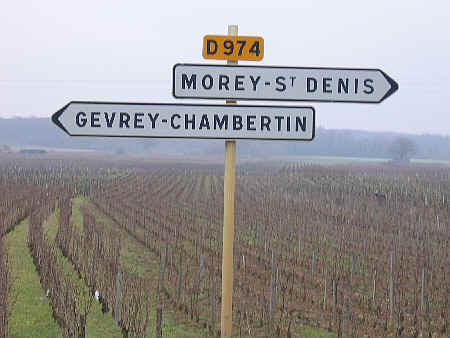 Back then the winery was famed for its "Monopole" wine from Vosne-Romanee, a site called Clos des Reas. Michel produces a grand cru wine from a small parcel in Clos Vougeot, but the Premier Cru of Clos des Reas still attracts connoisseurs around the world. And why not? The wine is routinely delicious! It is hand-harvested, of course and run through their sorting table at the cellar. 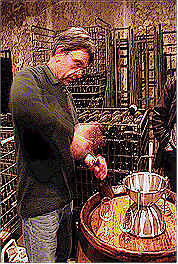 Michel is meticulous in his winemaking and it shows up in the bottle. 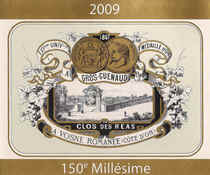 We had some 2009 Clos des Reas and this bottle is adorned by that old label art you see above in gold...a replica of a label of a bygone era. 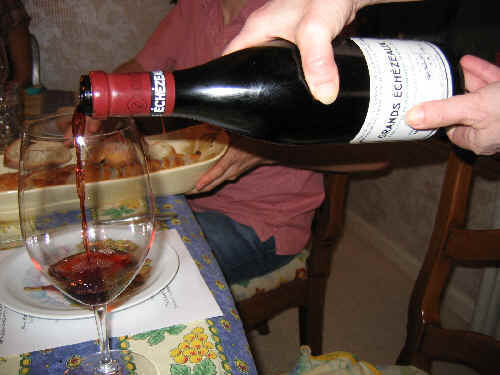 The wine is strikingly showy Burgundy, displaying wonderfully fruity cherry notes and some sweetly smoky oak. It's young, but mighty nice now and yet it ought to develop handsomely with another decade of bottle aging. The 2012 Clos des Reas is stellar. It's a beautiful Burgundy...deep in fruit and with a sweetly oaked note (but not too much wood). We enjoyed a bottle dining out in The City in November of 2014...we offered the sommelier a taste and she was thrilled (and didn't ask us to pay their $20 corkage fee) and impressed. The crew at the shop tasted the wine the next morning...still showy and quite good...they demanded we bring some in to share with Weimax customers. 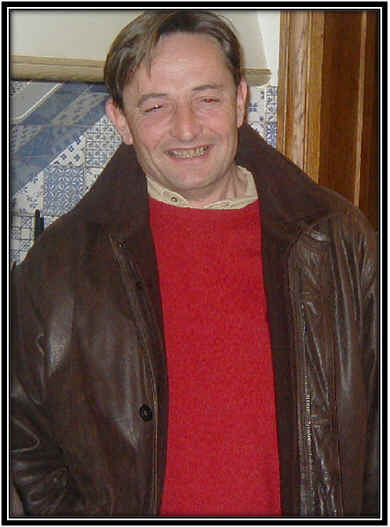 One of the living legends in the world of Burgundy is Dominique Lafon, a famed vintner headquartered in Meursault. The winery is his 'baby,' though he comes from a long line of Burgundian vineyard owners. 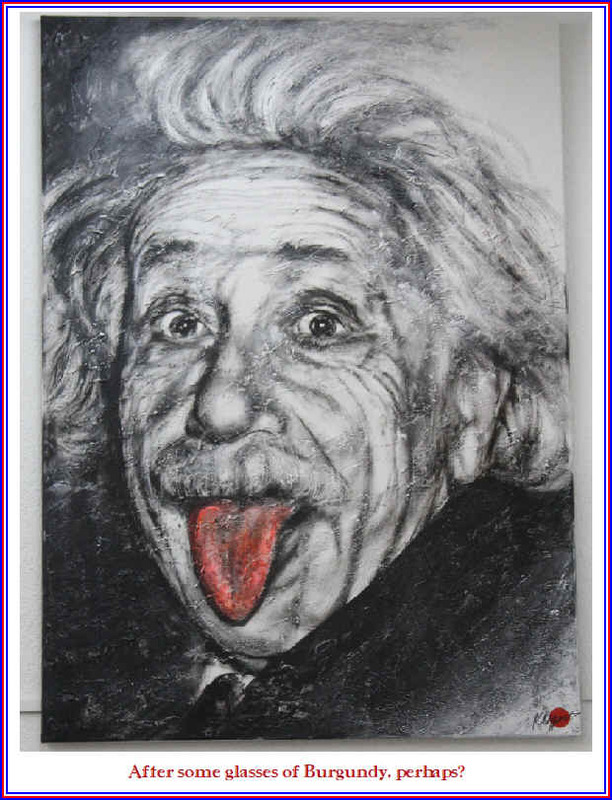 His father simply rented the vineyards to various winemakers, as he lived and worked in Paris. 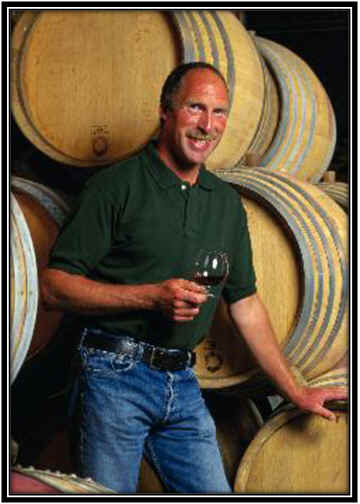 But Dominique wanted to produce wine and in the early 1990s, when various lease agreements expired, he was able to assume control of numerous vineyard sites. The domaine is viewed as a reference point for Meursault and they produce a small bit of Montrachet. Red wines are beautifully elegant and the epitome of finesse. They have holdings in Monthelie and Volnay, along with Meursault and the Montrachet and these tally to a bit more than 16 hectares of vines. Dominique also is working in Macon, producing some wonderful wines in that region. He is hired by a west coast vintner to "consult" on wines produced in Oregon and California. That is the Evening Land project, though the prices of those West Coast wines exceeds their quality in our view. We have a range of vintages of Monthelie and Volnay and the wines have been very good. They really show off their terroir, while retaining a measure of the fingerprints on Monsieur Lafon. Here's an estate that's got a familiar name, Monts Luisants, but it's actually a new label and a new domaine. 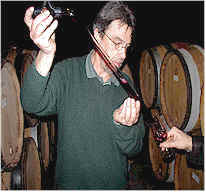 Jean Marc Dufouleur's father had a few hectares of vineyards and in 2000 Jean Marc started to vinify the fruit. Previously the family had sold off the grapes. There are some 3.4 hectares of vines in Morey-Saint-Denis and these are tended, as we're told, with great care. Dufouleur is described as a perfectionist and we understand he did not even vinify his 2004 crop as he was not happy with the quality of the grapes. Wow...that says something about this vigneron, doesn't it? 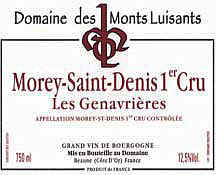 I tasted a few of the Monts Luisants 2005s and 2006s and was awe-struck by the premier cru bottling of Les Genavri�res. This comes from a small parcel that borders Clos de la Roche to the east and Clos Saint Denis just to the south with Monts Luisants just north of it. The perfume of this wine is incredibly enticing. The nose shows nuances of black cherry, plums, sweet spices and a woodsy element. I'd have bet the wine saw a fair percentage of new oak barrels, but the importer contends new oak is minimal. Given that the production of this wine totals close to 120 cases, that would mean Dufouleur had 4 or 5 barrels' worth of this wine. The structure of the wine is firm and probably will allow for 5-10 years of cellaring, but it's so charming now, holding this for several years may be out of the question. What can I possibly add to what has already been written about this producer? It is the top estate in the world of red Burgundy. It is a target for wine writers who can easily bemoan about the high prices these wines fetch. We're partial to their "cheap" wine from the Echezeaux appellation, being content with the DRC style at their "entry level" price. Owning some 24 hectares of vines, the wines include the famous Roman�e-Conti, La T�che, Richebourg, Roman�e-Saint-Vivant, Grands Echezeaux and Echezeaux. All new oak. Low yields. Truly hand-made wines (our last visit we saw the cellar master hand-racking from barrel to barrel). They also make a modest amount of Le Montrachet and we sometimes can purchase their brandy (marc or fine). DRC reds are the standard by which all others are measured. We are amused by the reviews this estate gets from The Wine Spectator. A few years ago the Spectator bashed an entire vintage of DRC wines. I recall a blind-tasting we conducted of 1992s, I believe, and the DRC wine won the tasting. The Spectator had written something along the lines of "these wines should never have been bottled." Participants in that tasting felt most of the wines were worthy of praise. I had sent off a note to another winery, saying we enjoyed their wine in this particular tasting and they forwarded my note, bemoaning the lack of taste on the part of some journalists. One of the owners of DRC, Aubert de Villaine, called them immediately to say it was pleasant to see signs of intelligent life in, of all places, the USA! The wife of the owner of the other domain, by the way, sent a note back saying few wine writers recognize the work that goes in to making these wines, especially in less-than-perfect vintages. In any case, we were told a few years ago that Wine Spectator staffers were not permitted to visit the domaine! I don't know if this policy has changed, but we were amused upon hearing of a local hotel stopping by to purchase a case of DRC wines and the DRC staff were certain these bottles were for a Dictator tasting. Look on any vintage chart and you'll see poor ratings of 1982 and 1984. Those vintages of DRC wines sold for modest money. We enjoyed the wines in their youth. In June of 2001, a friend opened a bottle of the 1982 DRC Echezeaux and this was the wine of the evening! I don't want to beat the drum too enthusiastically, but wish to merely point out: taste what's in your glass. Unfortunately the wines of "The Domaine" (as many people call it) are purchased by people who do not intend to ever pull the cork. These people are "investors," speculating that the wines will increase in value. This tends to drive up demand in those harvests dubbed by "experts" as "top vintages." If you want to get an idea of what this winery produces, splurge on their wine in a so-called "smaller" year. I have never been disappointed. In tasting the 2002s I found the wines to be quite good, with the Roman�e-Conti being a shade lighter in color than the other wines and not quite as impressive as La T�che or Richebourg. In 2002 they produced for but the third time in their history as "Vosne-Roman�e" appellation wine. This is a lovely Burgundy unless you serve it alongside one of the other heavy hitter bottlings. 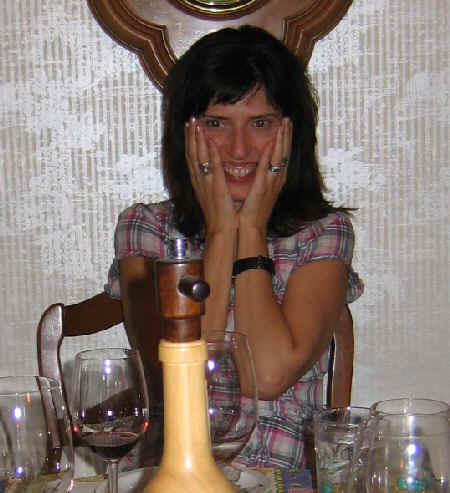 We had a bottle of 2000 La T�che at Thanksgiving in 2007. Lovely wine. Really nice fruit and beautifully balanced. I just received an offer from an importer for this wine...it turns out the current value is about a thousand bucks for a single bottle! Yikes. Our dear friend, the late Mario Perelli Minetti had long spoken about wanting to taste a DRC wine. The man was 97 years old at the time, so we figured we'd better hurry up and pop the cork. I picked him up at home and we drove to a spiffy restaurant. We had a lovely bottle of Laurent Perrier's Grande Siecle Champagne to start. Mario ordered the Sea Scallops. "Mario," I cautioned, "we're opening a bottle of fine Burgundy tonight...maybe you might find something else?" "Hell, I'll drink the wine with sea scallops. I don't mind." So we poured the wine and he tasted it. "Say, this is damned fine Pinot Noir. What's a bottle of this going for?" "Mario, it's a ten year old vintage. The most recent is being offered for $440 a bottle wholesale." "Wow...they have a strong marketing department!" ...and we opened a bottle of 2000 vintage Grands-Echezeaux. This wine, at 9+ years of age, was a delight. It's a classic Burgundy...essence of Burgundy...deep cherry notes with toasty oak, forest floor fragrances and a bit of truffle...magnificent! Currently available: The wines are so highly allocated and so costly that in 2016 we said "Non Merci" to our pitifully small allocation. These are now wines intended for the filthy rich. If you taste the wines of this smallish domaine, you'll sense the wines are the work of a perfectionist. 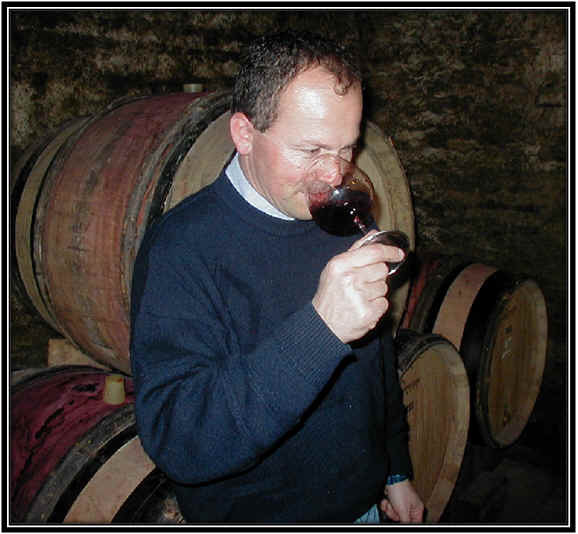 Henri Boillot took over his father's winery and is the fifth generation of the Boillot family in the wine business. 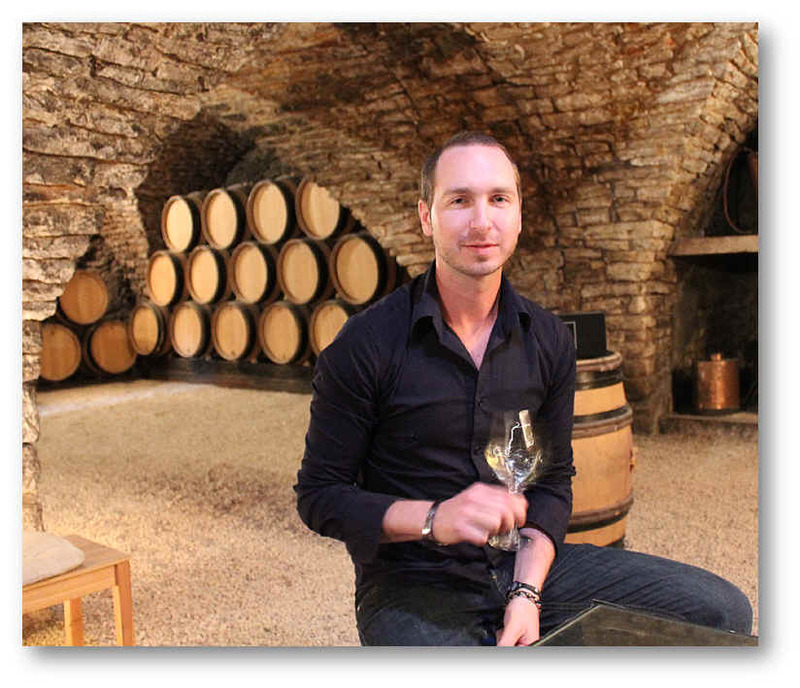 Now the sixth generation, Guillaume Boillot, is working in the family business. They farm sustainably and are sticklers for low yields in their own vineyards. 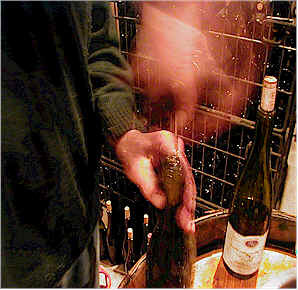 Boillot prefers to de-stem their Pinot Noir grapes and they employ a cold soak before fermenting the wines. They prefer a cool, long fermentation for the reds, which then go into barrel for about a year and a half. Their reds are bottled without fining or filtration. We currently have a 2013 Pommard 1er cru wine in stock. It's from the Les Rugiens cru, one of the best in Pommard. We like the red fruit notes we find here...it's got a bit of raspberry and a note of cherry with really beautifully polished oak. The wood nicely frames the fruit and this is a showy bottle of wine right from the state. It's outstanding and elegant on tonight's dinner table, but there's a mild streak of tannin which should provide the wine another 5 to 10+ years of cellaring potential. 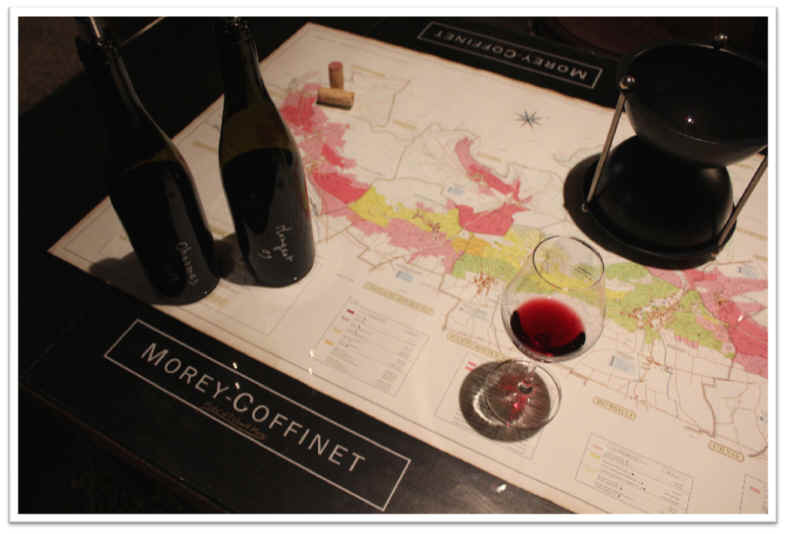 The Bonneau du Martray estate is pretty much synonymous with Corton and Corton-Charlemagne. Most of the domaine's holdings are planted with Chardonnay, but they do have a small patch of Pinot Noir in the Corton appellation amounting to about one and a half hectares. Jean-Charles le Bault de la Morinire is the architect of this property, taking over the reins back in 1994 after returning from Paris where he was, well, an architect. 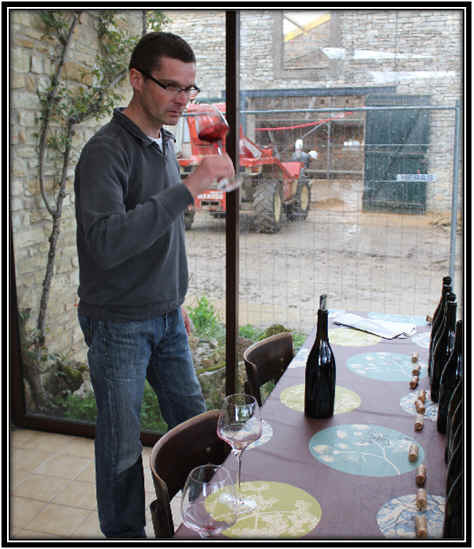 Stung by criticism of the domaine's Corton Rouge, he has worked diligently to upgrade its quality. Yields tend to be fairly modest, generally around 30hl per hectare. The fruit is de-stemmed and the juice is given a pre-maceration cold soak. 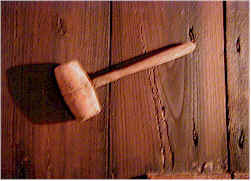 Wood is not a major part of this wine as they seek to highlight the fruit and particular terroir. We have some bottles of their very fine 1999 vintage. It's a medium-bodied Pinot, displaying some dark cherry fruit and a hint of spice. The tannins are modest at this stage. Very fine. Interesting to think this is perhaps the lone domaine in Burgundy which makes "grand cru" level wines exclusively. 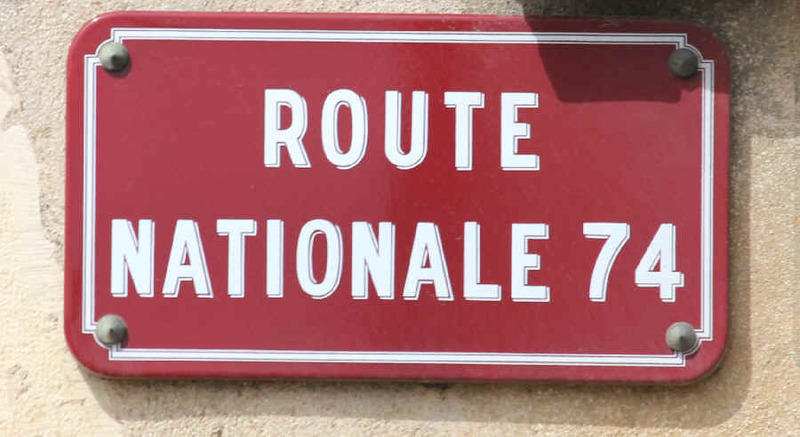 Many estates in Burgundy have remarkable histories. The family can trace its roots back to the mid-1400s. Comtes Georges died in 1987 and the estate was run by his daughter, Elizabeth. Since these people often have titles, hers is "Baronne Bertrand de Ladoucette." Now her two daughters are involved and they are the Comtesse Gerard de Caussans and her sis, Marie de Vog��. Their wines tend to be a bit 'severe' or quiet when they're young. These are not made with an eye towards fashion, nor do they make wines for today's critics who rush to judge the most recently crushed grapes in an effort to be the first to bestow praise or criticism on a wine. The wines of this domaine, like it or not, are wines for those who have the patience and storage conditions to allow these Burgundies to actually develop and, in fact, mature. If you're looking for instant gratification, you'll undoubtedly be disappointed in the Comte de Vog�� wines. These are not as flashy as the wines of the Domaine de la Roman�e-Conti, for example. They're more difficult to assess when they're young and, unless you're willing to wait a decade (or two or three), these may not be the wines for you. The property comprises nearly 12-and-a-half hectares. A significant percentage is in the vaunted Musigny appellation, with 2.75 hectares in Bonnes-Mares. They also make a tiny bit of "Bourgogne Blanc," the wine coming from vineyards within the Musigny appellation. I think they make about 4 or 5 barrels of this annually. There's a lovely, elegant Chambolle-Musigny and a Chambolle-Musigny Premier Cru. Along with these they make a few barrels of Chambolle-Musigny Premier Cru "Les Amoureuses." Then there are the grand cru wines of Bonnes-Mares and Musigny. 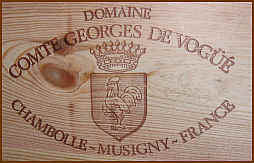 We periodically see some bottles of the Comte de Vog�� wines. While many Burgundy domaines have long histories and count the many generations of family that preceded the current one, Terres de Velle is a brand new enterprise. Though two of the three owners are Burgundians (and the third is Japanese), this domaine features a nice range of appellations in the Cote de Beaune. There's a small river near the winery in Auxey Duresses called the Velle. 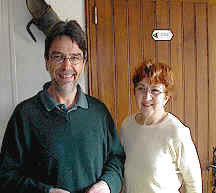 Sophie and Fabrice Laronze comprise the French contingent at this property, while Junji Hashimoto is the third member of the triumvirate. We've been fans of their simple Bourgogne Rouge. The 2011 is currently in the shop. It comes from two small parcels totaling nearly one hectare. One site near Puligny-Montrachet produces a more fruity, berryish wine, while the other parcel, near Volnay, lends a bit of backbone. It's a medium-bodied wine and one that is unmistakable as anything other than "Burgundy." It's nicely drinkable right now and should grow a tad with a few years in bottle. 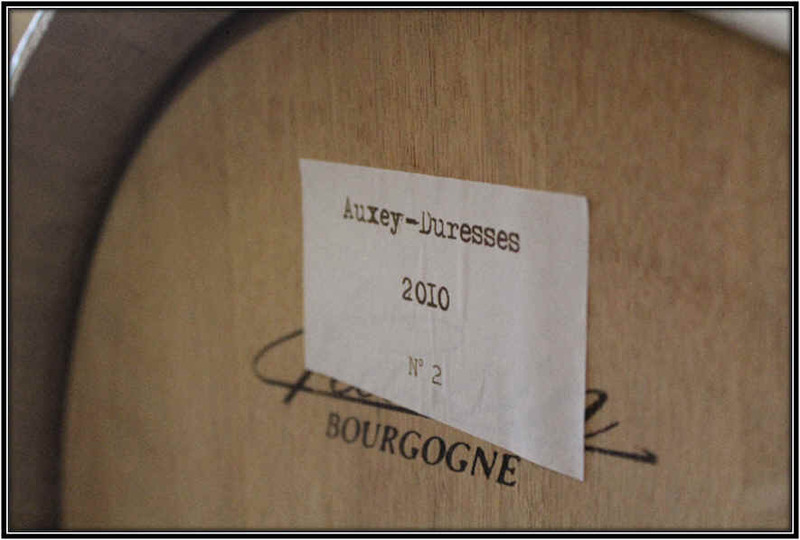 They make a very good Auxey-Duresses...we have the 2011. This comes from vines of about 40 years of age. 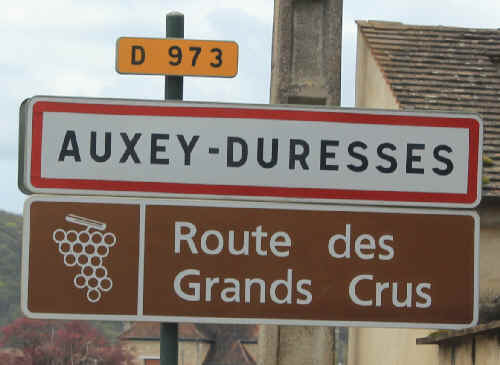 Because Auxey-Duresses is not a fancy or fashionable appellation (partly because only the French can pronounce the name of the town), its price remains quite attractive. Something close to 20% new oak is employed for this wine, so there's a hint of a woodsy note, but it's not taking center stage here. The wine is showing well now, but can probably be cellared a few more years, maybe five or ten. But at its $29.99 price tag, why not enjoy it immediately? This is a fairly sizeable domaine and it was once owned by a bank. They had the very capable Etienne De Montille in charge of the place (Domaine De Montille in Volnay...a nice winery founded by Etienne's Pop). Etienne arranged some financing and these days, as before, he runs the place. With a name such as the Chateau de Puligny-Montrachet, you'd expect to find mostly about white wines, but the property does make a bit of red and they excel and both. 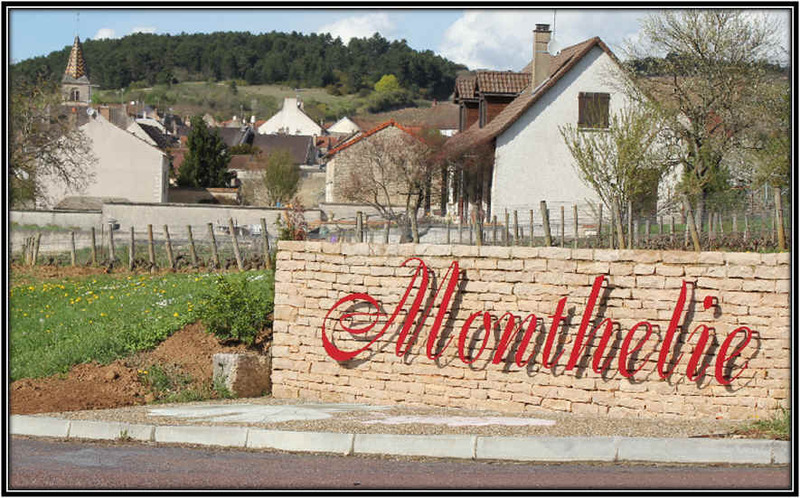 Monthelie has less than 200 inhabitants these days and nearly 300 acres of vineyards, mostly in Pinot Noir. Meursault is just south of Monthelie, Auxey Duresses is west and Volnay is northeast. It's in a lovely spot in the Cote de Beaune, but certainly it's over-shadowed by its more high profile neighbors. That's good news for savvy consumers who don't require the fanciest, most spendy label on the dinner table. The Chateau de Puligny-Montrachet has five parcels of Pinot Noir around Monthelie and they produce a seriously good bottle of wine. We have the 2009 vintage in stock and this wine has been well-received by our customers, especially when they taste the wine and remember they paid just $29.99 for a nicely soulful little red Burgundy. The 2011 is showing beautifully now. It's a youthful, bright red, certainly enjoyable now and capable of holding in the wine rack for a few more years. This is an elegant rendition of good Cote de Beaune red and you'll find it medium-light bodied and supple on the palate. They highlight the red cherry notes of Pinot Noir and if this sees any new wood, it's very light in its impact on the wine.